Click Here Locate GREEN Shipping Companies Now! 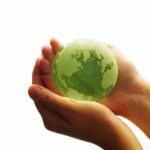 Consumers all over the world are getting increasingly serious about “going green” – what are you, as a manufacturer, retailer, service provider or consumer doing to target the vast market out there? Are you in a position to offer them a chance to opt for green shipping methods? Are you, yourself, aware of the possibilities of sustainable shipping available? Eco-friendly shipping isn’t just a marketing tool to attract customers. 6) Use of fuel-efficient driving best practices etc. So while choosing a shipping partner for your business or ordering anything online or even mailing personally; if you feel concerned about doing your bit towards a greener, healthier environment; you can check for that companies policies and practices with the above checklist. The shipping companies are leaving no stone unturned in converting to green shipping methods in a bid to providing their customers with the most environmentally friendly shipping options available. Not only are they reducing their own carbon footprint by adopting paperless offices and green practices but are actually increasing the periphery of their earth friendly attitude by offering shipping options which use renewable energies as fuel. They are also adopting newer, cheaper, lighter vehicles with greater payloads and also utilizing greater optimization of load distribution, trip planning etc. Lesser times spent at ports and decongested docks and roads are other pluses that consolidation programs offered by some of the shipping companies allows – permitting business houses to ship full truckloads on single trucks, avoiding the need of multiple trucks; especially if the deliveries lie in the same direction or region. All these methods are being incorporated as a beacon to the customer to show how committed the company is to green shipping methods. But that is not all, more and more environmentally friendly shipping houses are opting for the use of biodiesel and ultra low sulfur diesel, initiatives that deserve the highest encouragement because it reflects their commitment to sustainable shipping. Some of the largest green method shipping companies are also reaching for consignment trucks running on compressed natural gas. Fuel-efficient driving methods are being implemented by the environmentally friendly shipping companies to remove shipping inefficiencies, thus saving tens of metric tons in annual emissions of greenhouse gas emissions and thousands of dollars. Making vehicles run at an optimum speed boosts fuel efficiency and companies are taking steps to ensure that their drivers stay well within their prescribed limits by drawing the drivers into the program by training them and providing incentives. Electronic engine controls are also being used to eradicate shipping inefficiencies. Other methods like stopping prolonged truck idling, using auxiliary power units (APU) and truck stop electrification and automatic tire inflation systems in a combination truck are also being used by sustainable shipping companies to bring down fuel burning, in the process reducing greenhouse gas emissions that damage our atmosphere. One of the best green shipping methods is the Peer to Peer shipping method as it provides the best solutions for all the agents involved. The customers are passed on the discounts that the green shipping company saves by not having to book shipping space on larger shipping companies, while the drivers get to earn a few easy dollars making a delivery while going on their own way anyway. So you can now enjoy green shipping methods offered by online companies to ensure that you’ve done your bit towards creating a more sustainable planet. To list your item using P2P greener shipping, visit us at CitizenShipper.com. You can also learn more about us by readint the CitizenShipper Green Shipping Blog. This entry was posted in Green Shipping and tagged Green Shipping, green shipping technology, p2p shipping. Bookmark the permalink.